Will you marry us? well we couldn't say no could we? 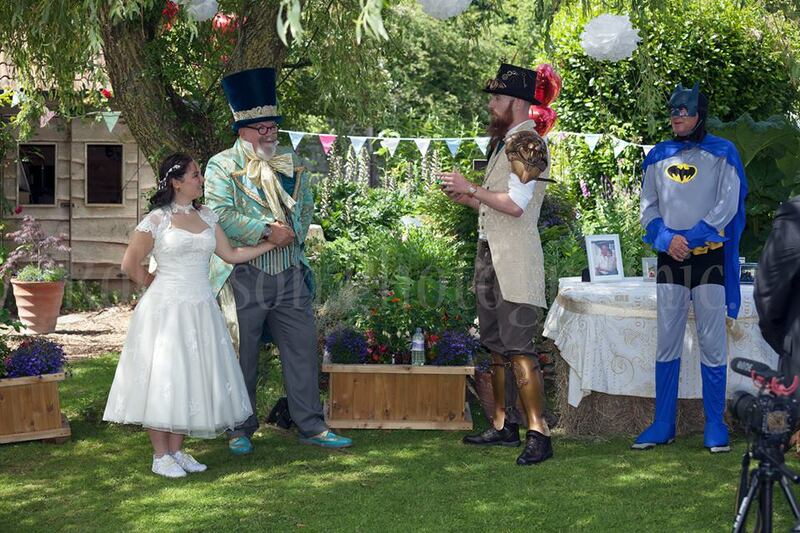 Especially as it was to be an Alice in Wonderland Wedding in deepest Dorset, and with all the guest in their best party frocks it was the perfect setting . Congratulations to Sam and Lizzy McEvilly for a glorious day and many thanks for the kind words. 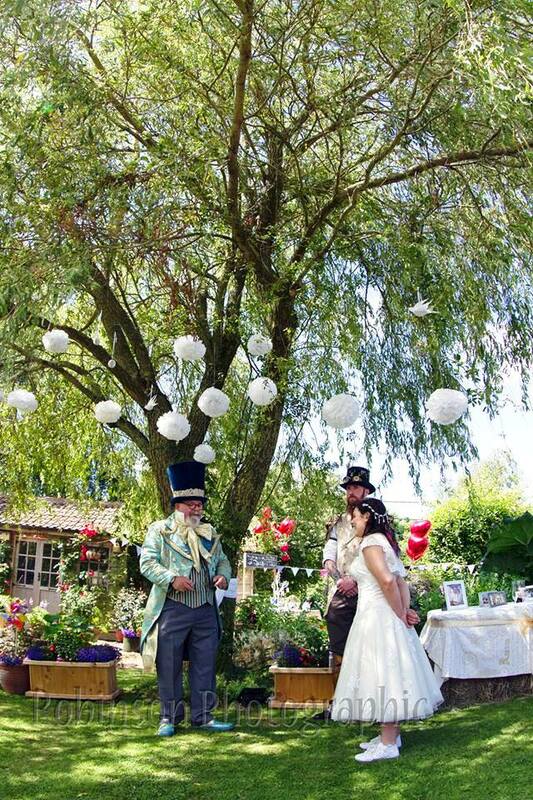 And of course in addition to the Meet and Greet, Handfasting Ceremony and Toastmastering we had to have a bit of a Mad Hatter show didn't we!